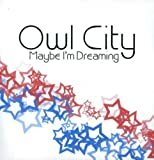 These are lyrics by Owl City that we think are kind of funny. Golf and alcohol don't mix. That's why I don't drink and drive. Oh Adam....your puns are awful. Obviously the songwriters were having fun with homophones ("patience" = "patients").